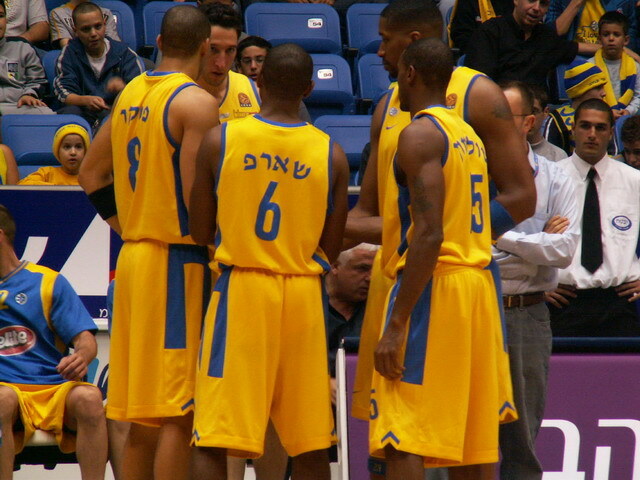 Caption: Basketball players from Maccabi Tel Aviv huddle up. Jewish athletes from around the world gather every four years in Israel for the Olympic-style Maccabiah Games, not to mention the annual JCC Maccabi Youth Games in America. Most Israeli professional basketball and soccer teams preface their names with “Maccabi” (perhaps most notably the hoopsters of Maccabi Tel Aviv), and the athletic teams from Yeshiva University are dubbed—you guessed it—the Maccabees. Does all of this mean Judah the Maccabee was a superstar athlete back in the day? Actually, history suggests just the opposite. The story of Hanukkah was one in which the Jews—seeking to “Hellenize”—started to adopt Greek sports, only to have the anti-assimilationist Maccabees buck that trend as well as others that blended Jewish and secular lifestyles. 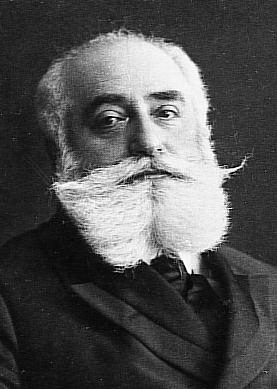 Max Nordau, founder of the Jewish athletic movement, coined the phrase "muscular Judaism" at the 1898 Word Zionist Congress, a precursor to Maccabea Clubs in Europe and the eventual adoption of the name "Maccabees" for Jewish sports teams.Instead, Gurock said, the modern usage of the Maccabee moniker can be traced to 1898, when social Darwinist Max Nordau—founder of the Jewish athletic movement—coined the term “muscular Judaism” (muskel-Judenthum) at the Second Zionist Congress. Nordau believed the existence of strong and physically fit Jews could defeat the classic stereotype that Jews are physically weak and instead depend solely on their wit. The great rabbinic figures of the Middle Ages were concerned with physical fitness, but sports remained “something foreign to Jewish culture” at the time, Gurock said. Nordau was looking to emulate Jews who fought against the world and were successful, and historically speaking, that was found most prominently in the story of Hanukkah. “The only examples we have of Jews who were strong and successful were really the Maccabees,” said Gurock, who is also the author of Judaism’s Encounter With American Sports (2005). The trend continues today, with numerous Jewish sports teams calling themselves Maccabees or something similar—including the teams at Yeshiva University (YU). That led Gurock to another question: Since YU is an Orthodox institution, shouldn’t it call its teams the “non-Maccabees,” to accurately represent the anti-assimilationist protagonists of the Hanukkah story? Not quite, he answered. “What we like in modern times [about the historic Maccabees] are not so much their religious values, but their success in competing against the world,” Gurock said. Though the original Maccabees were against the concept of organized athletics, Gurock noted that they were still the first Jewish group to raise the question of “How can you be Jewish and engage in a foreign cultural activity called sports?” He explained that in ancient times, sports were associated with pagan culture and ritual rites, but in modern times, “the great challenge is to integrate that foreign cultural phenomenon called sports into Jewish culture, so that the two can live side by side, which is often a difficult task.” The Maccabees ultimately decided that mixing sports with their Jewish lifestyle would be too inconsistent, Gurock said. At YU, the athletic teams themselves—not the school’s administration—decided how they should be named. Originally the “Blue and Whites,” YU’s teams were the “Mighty Mites” from the 1940s-1960s, when they struggled against athletically superior squads, according to Gurock. In the 1970s, the teams adopted their currents monikers: the Maccabees and Lady Maccabees. “It’s not today a defiance of tradition, it’s appropriating the idea of struggle, of success and virility, and power, which is emblematic of sports,” Gurock said. The name Maccabees fits, Gurock explained, because the university is particularly proud of its Zionist orientation. Posted on December 9, 2012 by Jacob Kamaras / JNS.org and filed under Hanukkah, Jewish Life, Special Sections and tagged Jewish Life sports.